At the time I’m writing this, my children are 7 and 5 and I have regained my sanity (my memory, not so much!). But when I was a new mom, life felt so much harder. I'm lucky to live in musical neighborhood. Within the span of just a few blocks, there are several choir members, band members, a piano teacher, and many instrumentalists. One of these neighbors is a woman named Judy, a guitar player and retired teacher. She said she had a binder full of kid songs, which she used when she would play guitar to her students. She no longer needed it. Was I was interested? YES!!!! The binder looks well-loved. Many chord sheets have been typed on a typewriter, some pages are old Xeroxes that remind me of my elementary school worksheets, and there are handwritten notes all throughout. It's the perfect representation of what I love most about folk music— there's magic in making music with others and sharing songs that have been sung throughout multiple generations. As I play through the songs (many are familiar but happily there are a lot of new-to-me songs, too), I can't help but imagine Judy singing to her students. It's a lovely thought, and now I get to share these songs with my loved ones. Judy, thank you for this special gift! Happy holidays, everyone! About five years ago my husband surprised me with a piano for Christmas (big surprises are kind of his thing). We had talked about wanting one for our family, and I had visions of listening to our children sit down to play and sing for us. Of course, our son was only two at the time and I was very pregnant with my daughter, so no one really had much time or ability to play it. The piano mostly collected dust that first year. I owe a lot to Shawna. Having her as my first "test" student helped me refine my teaching style and improve my course materials before I officially launched Musical Mama, and I'll always be grateful for her help. Thank you for everything, Shawna! You're the bomb dot com! 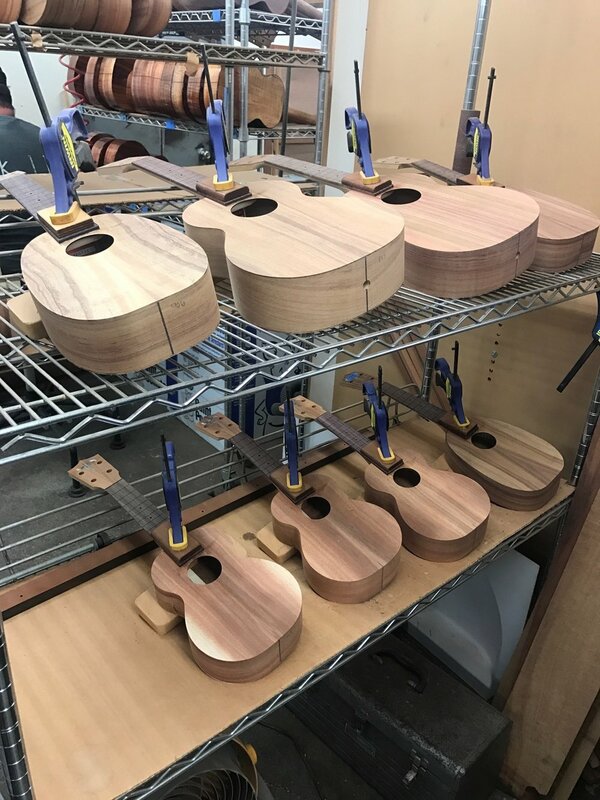 We vacationed on Oahu recently and one of the highlights of our trip was taking a tour of the Kamaka ukulele factory. 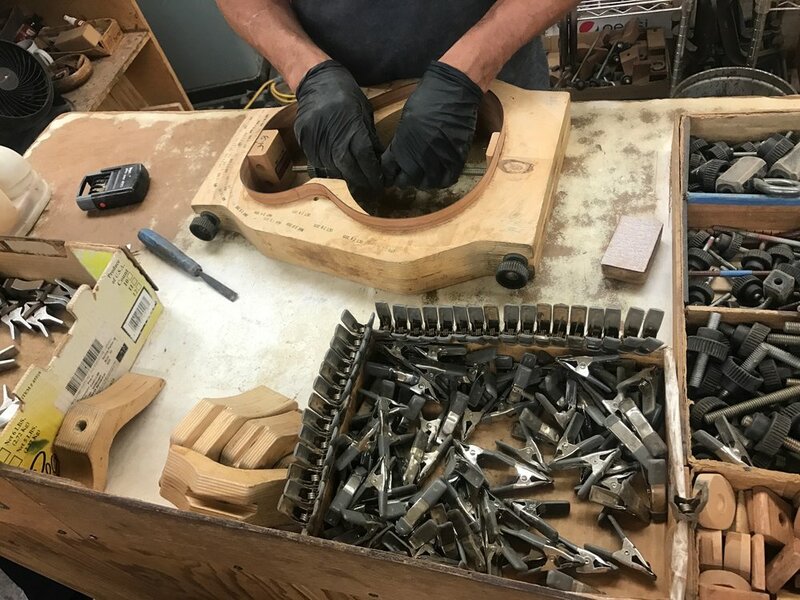 I mostly focus on the playing of ukes, so it was neat to learn more about how Kamaka's well-regarded instruments are made. The tour began in the small main office area with a history lesson by Fred Kamaka Sr, who's in his 90s. 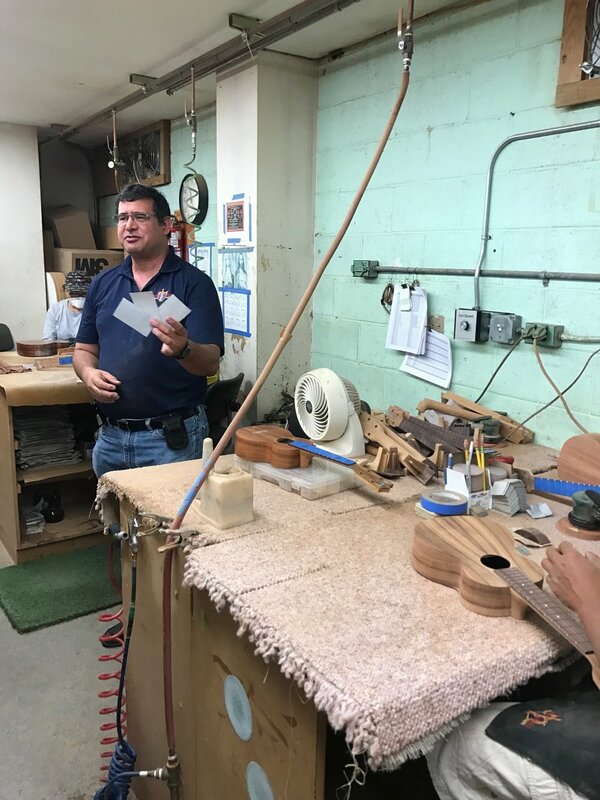 We were all riveted as he chatted about the company's origins (it was started by his father) and the company's 100 year history of making instruments. The tour then moved on to the warehouse, where Fred Jr walked us through the entire manufacturing line. It was very cool to see how invested the Kamaka family is in the brand, with the company now being run by third and fourth generation family members. Wanna go? 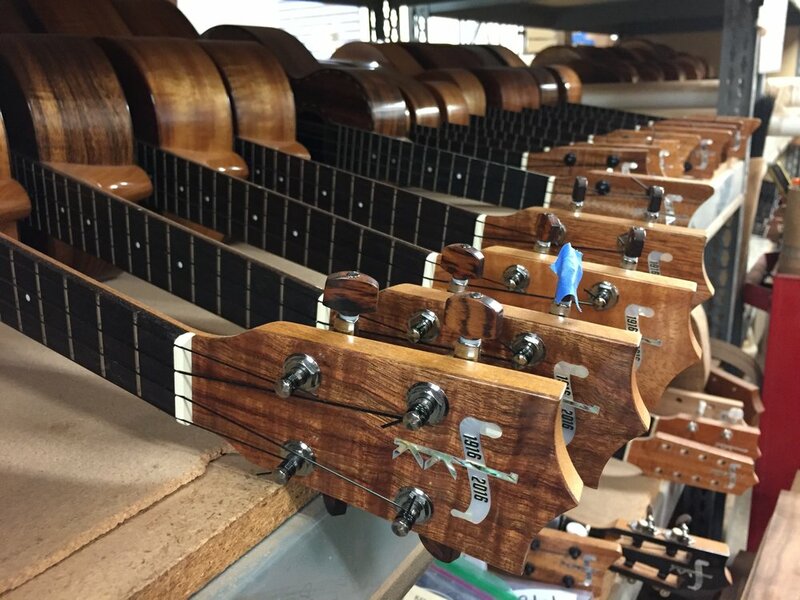 Tours are conducted at their factory in Honolulu, HI, Tuesday - Friday at 10:30 am. Check out their website for more info. The entire tour is free, and it's worth it just to get your picture taken with Fred Sr! The temperatures in San Jose were back in the triple digits yesterday, so I packed the kids up into the car and we escaped to Seacliff State Beach, just south of Santa Cruz. I'm partial to this beach, simply because it's so accessible. One night long ago, my husband took our baby son out for a walk. I stayed home to spend the evening wrapping Christmas presents. Sounds mundane, right? But it was heavenly. I had two whole hours to dedicate to a task with absolutely no interruptions. That night was the first time in months that I experienced that lovely state of flow, where I was able to completely lose myself in an activity. Losing the opportunity for "flow" is, for me, one of the most difficult aspects of parenting.